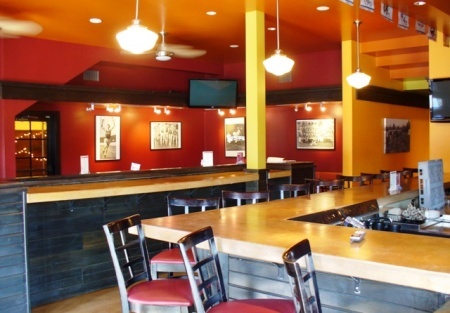 The name and address of this sports bar and restaurant is given to only qualified buyers. Good businesses are rarely sold, so don't miss this Retail Property with Restaurant & Sports Bar! If you've been looking for a profitable sports bar and restaurant in the Sacramento area in a fine neighborhood, then you've got to take a look at this business. The real estate is available too...but of course at a much higher price. This Sports Bar and Restaurant is in a great corner location on one of the most sought after streets in Sacramento and has excellent street visibility and easy access. There are thousands of folks driving by each day. After 50 years of operating as a restaurant, this business continues to meet the neighborhood demand by serving great food with wonderful drinks and awesome employees. The interior as well as the exterior was recently refinished, leaving a gorgeous building that welcomes the patrons to a good meal and great company. The owner of the business is a real estate investor with other commercial real estate interests and he doesn't work at the business. He rebuilt this business and is ready to now sell it to a good operator. He will do a new lease for the buyer. The interior is casual upscale and relaxing all at once. Recently refurbished in modern and warm decor! When you walk through the front door you're welcomed by the inviting bar with granite counter tops and well done back bar. The Bar has several flat screens TV's for customers to enjoy their favorite sporting event. Continue through the Bar into the semi-private dining area with gas fireplace and cozy atmosphere. There is also a covered, heated and misted outdoor dining area that's in demand all the time and is perfect for outdoor dining and group events. The menu is great with something for everyone at affordable prices which keeps customers coming back! Demographics: The area is close to a major University with a population consisting of High income professionals. 56% of Household incomes within a One mile radius range between $50K to $124,999. Make no mistake about it, this is the cat's meow! This one of the hippest area to be located. The Owner has a great lease for the 3,438 sqf. There is a total of 124 seats and a fully equipped kitchen to get the job done. There is an additional space upstairs that could be finished into an office/apartment, rent for this space is not included and would be extra. Sales from October 2009 to October 2010 aver. $88,671 per month and $1,064,052 for the 12 month period. If you're looking for a great turnkey investment this is it. Priced at $399,000 for the restaurant this is a great deal! If you're looking for a great turnkey investment this is it. Priced at $997,000 for the Property and $399,000 for the restaurant this is a great deal!. There is a total of 5,070 total sqf. sitting on .22 acres. The property has 1,632 sqf. upstairs partially improved and plumbed and would make a great apartment. The space could be improved for additional income, but is currently storage at the moment. The good ones rarely come around so don't wait on this one! Select one on the orange buttons below, register at no cost or obligation, and receive more photos and the address of this location. Free standing Building with 5,060 SQF. Additional 1,850 SQF. upstairs can be finished for an owner apartment or ? ?